In recognition of National Dental Hygiene Month, we are going to talk about how your dental needs change as you age and how to keep your smile healthy for your future. Getting older isn’t always fun, but we can’t avoid it. As people are living longer, their dental health becomes even more important. As you get older, you will have to do more to keep your smile healthy and strong. As you age, you will start to notice changes in your teeth. Darkened teeth are caused by changes to the dentin that come from a lifetime of food and drinks that stain your teeth. This is your teeth starting to show your age. You might notice that your mouth is getting dryer. It’s normal as you age for production of saliva to decrease, which can lead to other dental issues. Other medical conditions can cause dry mouth such as diabetes and cancer treatments. Make sure you mention these conditions to your dentist. Decay isn’t a new issue, but it gets harder to manage as you age. This is especially true if you don’t take care of your teeth while you’re still young. Plaque buildup can lead to tooth and root decay an also receding gums. All of this can lead to loose teeth. Then you might possibly be looking at getting dentures. The most important thing you need to do to keep your teeth healthy in the future is to take care of them now. If you don’t brush often enough or you only floss once in a while, now is the time to change your habits. Taking care of your teeth now will help to make sure that they are still there for you when you retire. 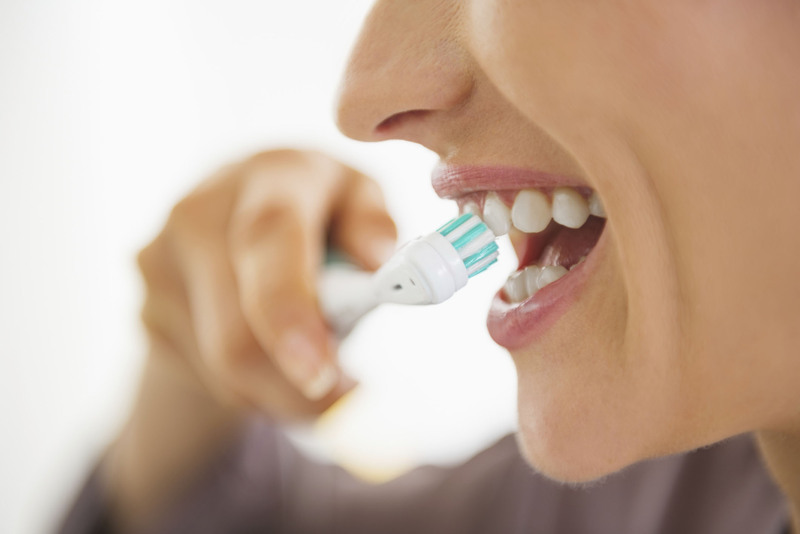 Brushing with a soft-bristled brush is easier on your gums. Make it a habit to brush after every meal. This is very important as you age because your enamel starts to wear away. The right brush should fit comfortably in your hand. If you are having trouble holding your brush due to arthritis, try wrapping your brush with something to widen the grip. You might even consider an electric toothbrush. It has a wider grip and might be easier for you to use. A 2-3 minute cleaning is recommended. Hold your brush at a 45-degree angle and don’t brush too hard. Brushing too hard can cause your gums to bleed and recede. If you aren’t sure about how much pressure to use when brushing your teeth you should talk to your dentist. Rinsing with a dental rinse can help keep your teeth healthy and strong by flushing away any debris brushing and flossing may have missed. It also gives your teeth a protective shield to help keep plaque from sticking to your teeth throughout the day. If you are unsure of what type of dental rinse to use, talk to your dentist. My favorite mouth rinse, by far, is Smart Mouth. Regular checkups with your dentist are also an essential part of keeping your teeth and gums healthy. You should see your dentist every six months or more often if your dentist recommends it. If you are seeing signs of your teeth aging, you need to see a dentist as soon as possible. At Simply Smiles Dentistry, we can help you keep the teeth you have long into your twilight years.